The best bee plant for this August in the garden has been the Eucryphia nymansensis. It has been flowering all month and seems to be constantly covered in foraging honey and bumble bees. The Eucryphia was planted as a very small tree about 12 years ago and is now about 20 feet tall. The mints are flowering beautifully and the bees are enjoying them. 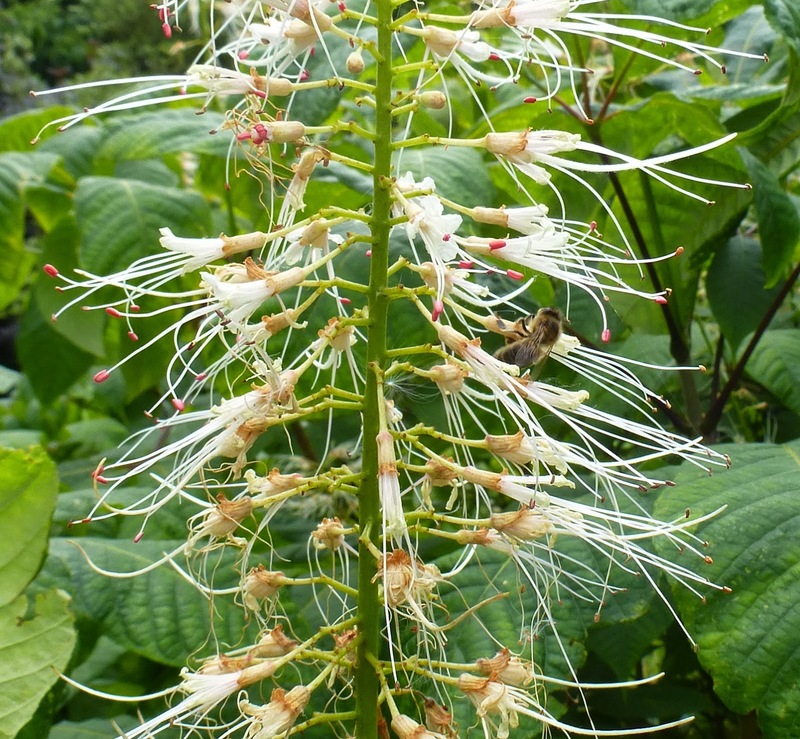 This is the flower of a lovely small ornamental chestnut, Aesculus parviflora, planted about 10 years ago. 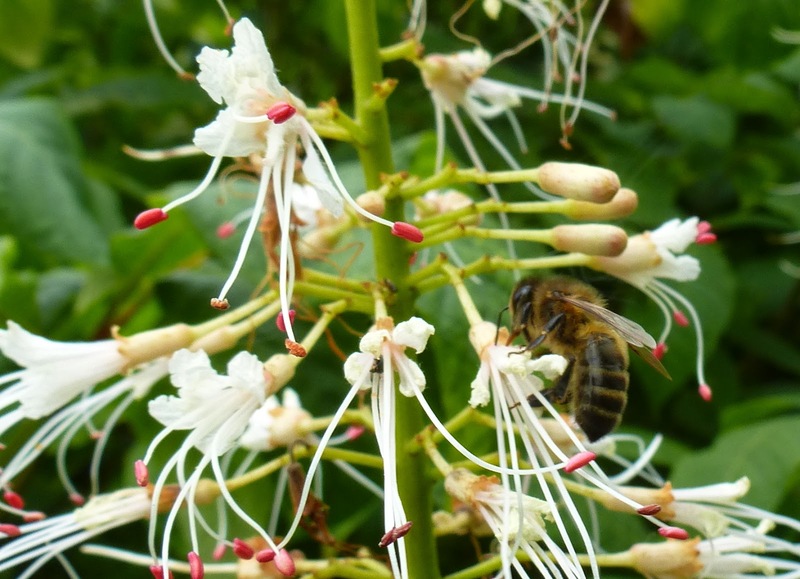 Honeybee on Chestnut, Aesculus parviflora. Other best bee plants at the moment are borage, poppies and Aster.